Trio performed at Hampshire College, Amherst, MA. Solo performed at Gala concert for American College Dance Association, Springfield, MA (2016). In the Thick of the Middle is an multi-media abstract study on choice-making and the dilemma of options in the artistic process. It is based on a reocurring childhood dream of holding two red balls. 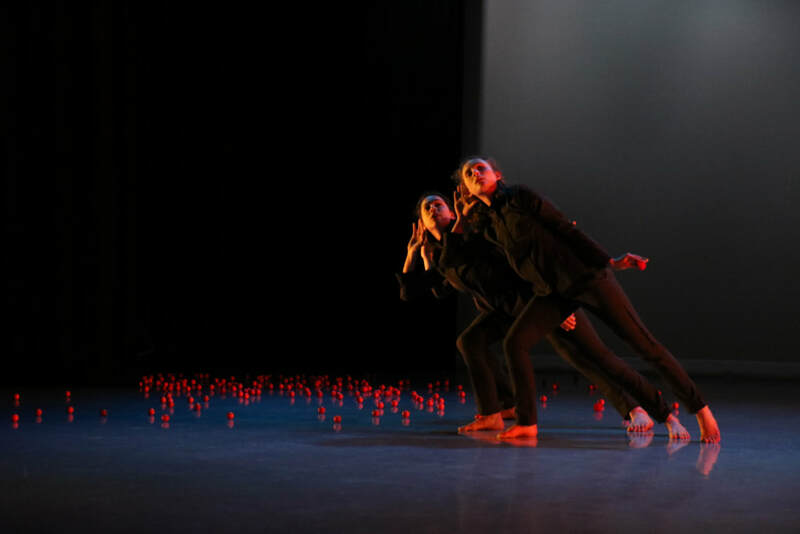 Red balls are used as props in the piece to sculpt the space in response to the angles and patterns of the movement. The piece focuses on reassembling and re-collaging movement as a way to reveal the multitude and complexity of the artist's choices.